It was, perhaps, only a matter of time, but one can’t but help feel a little concern about the impending arrival of Postman Pat: The Movie. 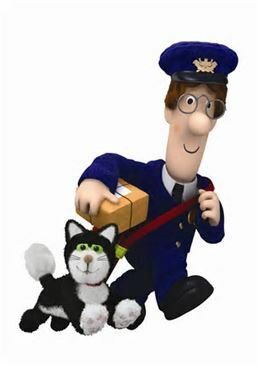 For those of us who have only just got our heads around the step up to Postman Pat: Special Delivery Service (a move which seemed to have the primary aim of creating more toys to sell), the arrival of the a film with all the latest animation and not even a hint of stop-motion style is a cause of some worry. Postman Pat on television is sleepy. This is a good thing for parents who often find themselves watching it with their children before the first boil of the kettle. About the most dramatic thing to have happened in the television series is that someone made a scarecrow which bore a remarkable resemblance to Arthur the policeman – with consequent confusion. The movie has robots. Where’s the realism? Modernists may counter that the abilities of Jess the Cat have long since left behind the realism – not to mention a postal service that always delivers on time and a single delivery person who can ride a bike, drive three different types of van and fly a postal helicopter that for some reason carries a winch capable of lifting a Hebridean cow. But there has been a long-standing tradition of pets being smarter than their owners, as exemplified in Hong Kong Phooey, to name but one. Also, ask a cat owner. They all seem to attribute ridiculous levels of intelligence to their pets, so maybe there is some truth in it. While the multi-tasking of Pat may have been questionable a while ago, times are hard these days. Employees in many industries have had to add strings to their bow or risk the next letter containing a P45. But the main concern about Postman Pat: The Movie, is the sudden arrival of star names. Stephen Mangan has been drafted in to voice Pat himself. Quite apart from the fact he is at least 20 years younger than Pat and I thought there was a law that he could only do whimsical television comedy, what was wrong with using Lewis McLeod, the current voice? He’s got movie experience – he was also a voice artist on The Phantom Menace. Worse is to come. It appears that David Tennant is voicing a baddie, who appears to have been drawn to look like David Tennant (with a little goatee to signify he’s a bad guy). 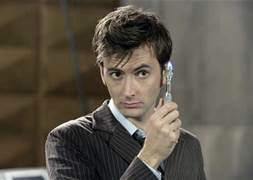 I rather feather it will be the gurning incarnation of David Tennant that is used, rather than the plaudit-earning Shakespearean version. Postman Pat deserves the latter. There are other big names – but I’m not convinced four and five year old children are going to be more likely to watch the movie just because someone who played Dr Who before they were born was in it. And there’s a risk they’re going to be put off by the animation style that is being adopted. I have a very talented friend in animation who has embraced just about every development in technology there has been, but even he has voiced dismay that computer effects are replacing the stop frame puppetry style, rather than enhancing it. Rather like successive governments have messed with the Royal Mail and role the post offices play in society, you get the feeling film executives just couldn’t resist a tinker. Let’s hope it doesn’t lead to the playing of the last post. View the trailer for Postman Pat: The Movie here. Gallery | This entry was posted in Television and tagged David Tennant, Greendale, Hong Kong Phooey, Postman Pat, Postman Pat: The Movie, Stephen Mangan. Bookmark the permalink. 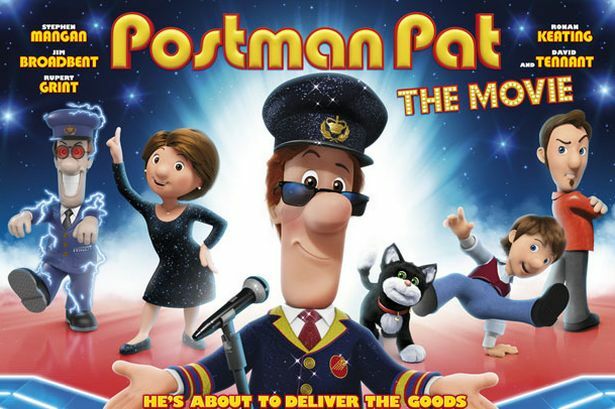 1 Response to Could movie be the beginning of the end for Postman Pat?